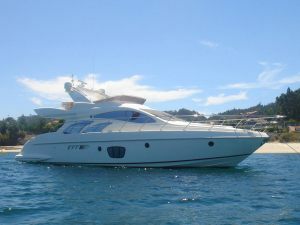 The bright woodwork and the added audio/video options makes this 55′ Azimut yacht a perfect choice for cruising and entertaining. 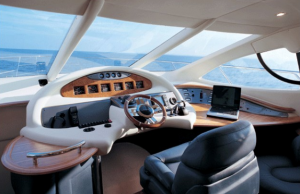 Azimut has been an innovative builder in motor yachts and cruisers in the last two decades, breaking the ice with revolutionary designs outside and setting new trends with innovative layout plans inside. 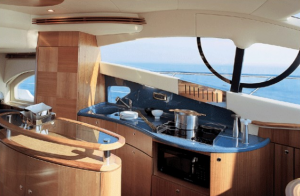 So when the 58 of the called F for flybridge series was presented in the fall of 2007 there was much anticipation for this model, which will have a starting challenge replacing the 300 plus delivered 55′ Azimut Yacht in the long term of the Italian builder plans. 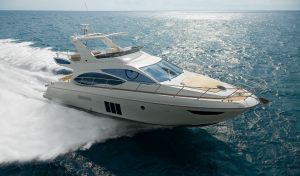 The 58 though has not been the expected revolution over the 55′ Azimut Yacht, but a general improvement in all parts starting with bigger engines, and going into detail on the improving accommodation with high selling point coming in the VIP fore cabin with its scissor transforming berth from double to a nice twin for two big adults, making this cabin a family or guests affair. 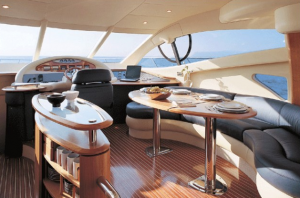 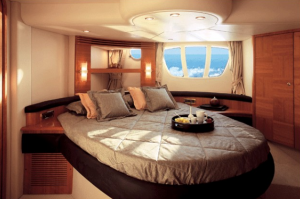 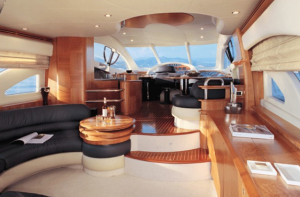 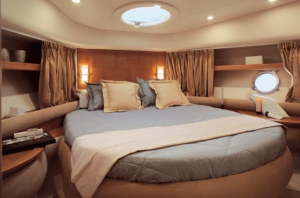 The 55′ Azimut is a perfect choice for yacht charter in Miami.